Foreword by Stan Bokov, Chief Operating Officer at MultiCharts. 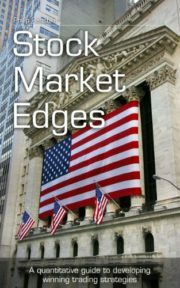 Every market edge presented in Stock Market Edges is based on comprehensive statistical analyses and has been tested across seven different markets (S&P 500 ETF, NASDAQ 100 ETF, FTSE 100 Index, German Stock Index (DAX), Hang Seng Index, Nikkei 225, and the S&P 500 Index) over a period of more than 14 years. The final chapter lays out a very consistent and profitable sample trading strategy, built entirely on set-ups outlined in the book to prove that the edges actually provide the trader with an advantage. Contrary to most other trading books, expected slippage and commissions have been deducted from the test results for the S&P 500 ETF and the NASDAQ 100 ETF. 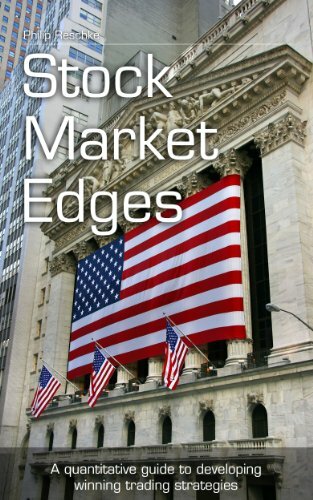 All market edges and trading strategies presented in Stock Market Edges can easily be implemented and executed in popular trading platforms such as MultiCharts, TradeStation, NinjaTrader and MetaTrader.